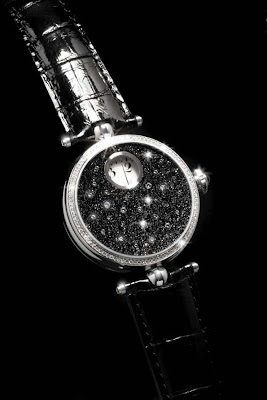 Angular Momentum has released a new collection of sparkling timepieces made of steel or gold and diamonds, diamond dust and black enamel. 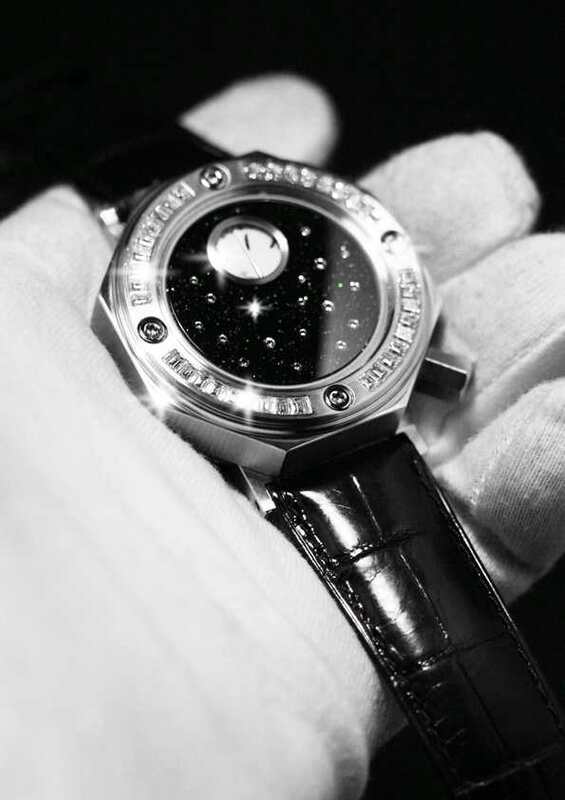 Angular Momentum's Verre Églomisé technique of miniature painting on the reverse of a sapphire crystal was extended by a new technology, in which a watch sapphire crystal's back is set with an aperture for digital time display, diamonds and coarse diamond dust, embedded in black enamel. The effect might be described as "truly sparkling". 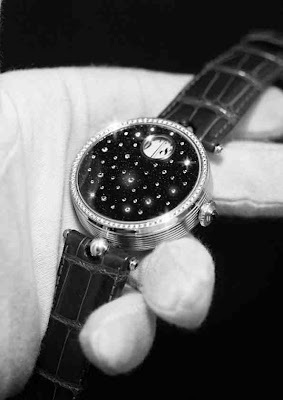 Angular Momentum has realized a collection of timepieces in steel and gold, decorated with above described sparkling digital sapphire crystals, a group of them displayed first time at Landolf & Huber Fine Jewelry in Zurich Switzerland.